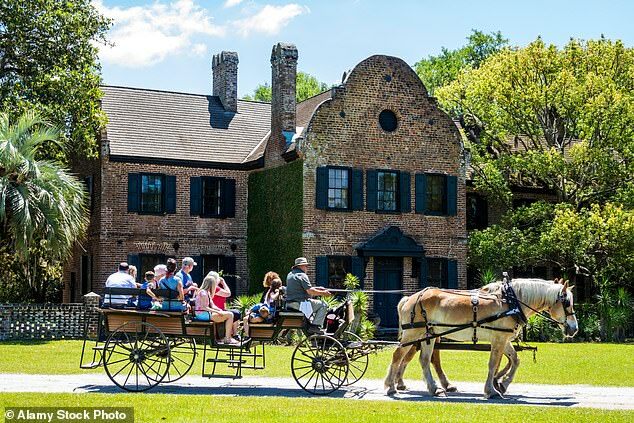 Close your eyes in the shade of a magnolia tree in Charleston in spring and summer and you’ll hear two sounds: the clip-clopping of horses’ hooves on cobble stones during carriage tours, and chirruping cicadas. South Carolina’s most popular city takes visitors back in time and is the epitome of Southern hospitality. Now British Airways is starting a nine-hour direct route to the city from Heathrow, opening it up to tourists and honeymooners alike (it is one of the most romantic places in America). After checking into the charming boutique hotel The French Quarter Inn (fqicharleston.com), tucked away off Market Street, head for cocktail hour at the Hemingway- inspired Victor Social Club for a Hemingway Heat cocktail with jalapeno and tequila and Oysters Rockefeller (both £8). Alternatively, take in the views at the Eleve Rooftop Bar at The Grand Bohemian (kesslercollection.com/bohemian-charleston). No buildings are allowed to be taller than the city’s church steeples, so uninterrupted views of the harbour and waterfront are guaranteed. 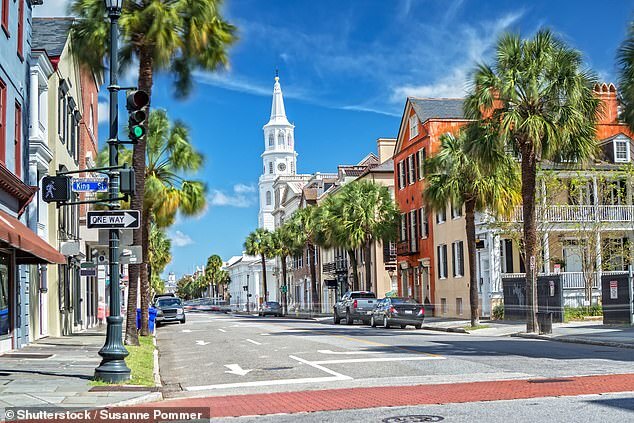 Charleston is best seen on foot after a good breakfast – try Another Broken Egg Cafe (99 South Main Street) for a lobster and brie omelette. Start your tour at The Battery, a landmark promenade area rich with antebellum homes. The Battery dates from the Civil War and from here you can see where the Ashley and Cooper rivers meet to form Charleston Harbor. Seafaring is an integral part of the city’s maritime history and the former Charleston Naval Shipyard is being redeveloped, 25 years after its closure. This historic area is crammed with courtyard gardens, often hidden behind ivy-clad brick walls and accompanied by the trickling sounds of a fountain. You might even catch a friendly wave from a local enjoying a glass of sweet iced tea on their front porch. Marvel also at Rainbow Row, a group of 13 pastel-coloured homes just north of Tradd Street. You’ll see an abundance of pineapple motifs here, not only in architecture but in art and decoration. It is a traditional symbol of hospitality adopted when pineapples were a rare extravagance and hostesses would be brought a pineapple as a gift. 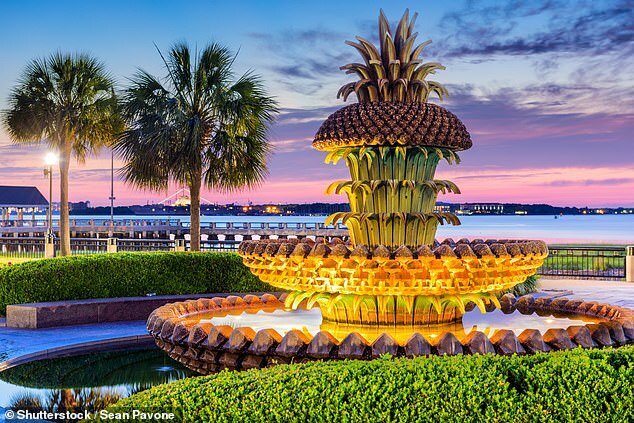 You’ll even see one at the landmark Pineapple Fountain in Waterfront Park, where you can paddle to keep cool on humid days. Next, stop at the open-air City Market to browse artisans’ stalls. Don’t miss the talented Gullah artists weaving beautiful sweetgrass baskets – the nation’s oldest craft of African origin. Baskets are woven from grass grown in the low-country area for the past 300 years. 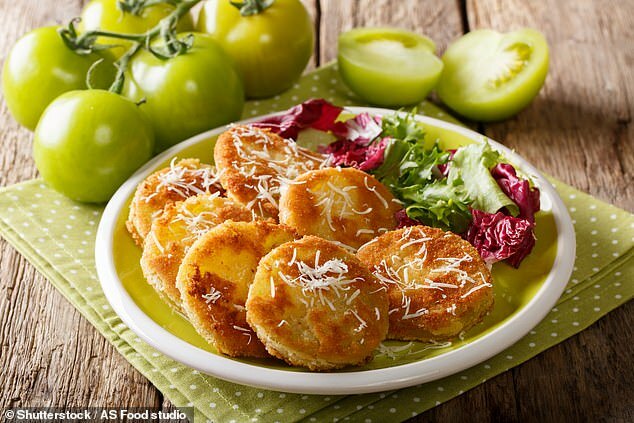 Stop for lunch at Magnolias (magnoliascharleston.com) and try fried green tomatoes or home-made pimento cheese with flatbread, or even the Down South Egg Roll, made with collard greens, chicken, tasso ham, red pepper puree, spicy mustard and peach chutney. History buffs should head to Fort Sumter National Monument, where the first shots of the Civil War were fired. The site is accessible by boat and you’ll find historic Charleston even more picturesque when viewed from the water. It’s also common to spot dolphins. Fort Sumter Tours (fortsumtertours.com) depart daily and include a 30-minute narrated cruise – tickets cost £17.50 for adults. As you make your way back to the hotel before dinner, visit the graveyard at St Michael’s Episcopal Church (80 Meeting Street). There’s something incredibly humbling about this walled churchyard, nestled among stone walkways and shaded by large tree canopies. For a smart dinner, Circa 1886 (circa1886.com), set in a former carriage house, is perfect. This is one of the city’s most celebrated restaurants, with a seasonal and locally sourced menu plus a great wine list. Try the rainbow trout or plank salmon, and don’t forget to leave some room for the mudslide souffle dessert. Charleston is where America’s first miniatures were painted and you’ll find a delightful collection at the Gibbes Museum of Art (gibbesmuseum.org). The museum also features an impressive collection of 10,000 works of American art with connections to Charleston. The stained-glass dome above the lobby rotunda is worth the visit alone. Adult tickets cost £11. No visit to Charleston is complete without a horse-drawn carriage ride through the historic district. Palmetto Carriage Tours (palmettocarriage.com) has certified, knowledgeable tour guides (tickets cost from £14). For lunch, Charleston Harbor Fish House at Patriots Point (charlestonharborfishhouse.com) has the best waterside view. Try the fresh oysters on the halfshell, or the lobster roll and mahi tacos (sofrito aioli, tomato relish, cabbage, coriander and lime). Another local favourite is the small but bustling Hominy Grill (207 Rutledge Avenue), famous for its shrimp and grits. In the evening go to The Container Bar (containerbarchs.com), the brainchild of actor Bill Murray. It is a series of shipping containers that host five different food trucks daily. No matter how long you’ve stayed in the city, you’ll hear a sincere ‘Y’all come back now!’ as you leave.